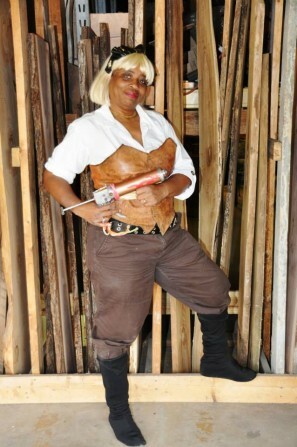 Home » Antiques & Vintage » Going to use Forklift props or materials for Halloween? Going to use Forklift props or materials for Halloween? Hi Forklift Fans – we know that every year, we’re swarmed by folks looking for odds and ends for Halloween costumes and decorations. We’d love to see what you’ve got in mind, and what you’ve done in past years! Please share your ideas and pictures on our Pinterest or Facebook page. This time-traveler came to our Pirate Party a few years ago with a ray gun made from a caulk gun – it actually lit up!